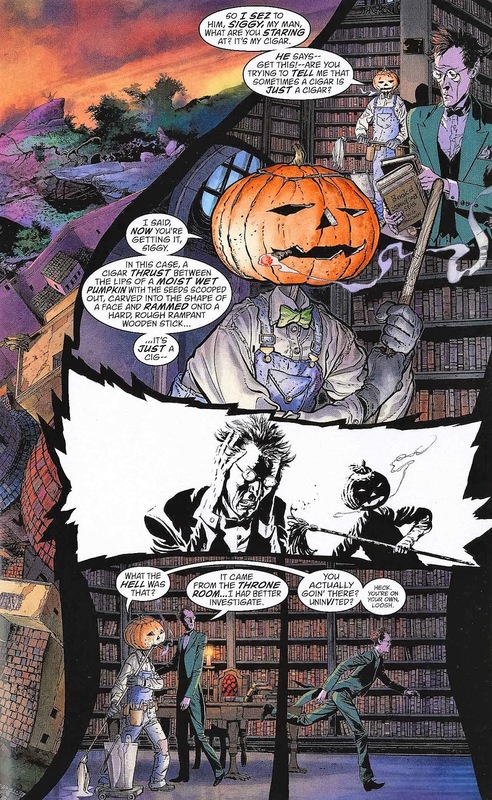 There have been a lot of Sandman spin-offs over the years. This is the 32nd one that I have read, not counting independent ongoings like Sandman Mystery Theatre, Lucifer, or House of Mystery. But this is probably the only one people were ever really asking for: what was it that left Dream depleted and powerless enough to be captured by a human sorcerer before the events of issue #1 of Gaiman's series? Finally that story is being told. This took me forever to work out, but the lights at the top spell out "FOUR" because J. H. Williams works the chapter number into the beginning of each chapter. For a while I saw "FOV" and didn't recognize the "R" at all. I don't know why this guy has a portcullis for a face, but Williams manages to do some interesting things with it anyway. Something that made the first half of The Sandman difficult for me to read was the lack of personal connection to Dream; I often felt like I was connecting to basically every character in the story except for its protagonist. It wasn't until Brief Lives that things clicked. I don't know if Overture remedies that per se, but it does explain a lot of it: this is probably the most character-focused story about Dream aside from The Kindly Ones. Basically, a star has gone mad, the universe is going to end, and it's all his fault. Dream has to go on an incredible journey to save reality, where he is accompanied by himself but in the form of a cat, ends up in a Western, talks to his parents(! ), befriends a girl named Hope, visits the City of the Stars, and is imprisoned in a black hole. The end result is a lot of conversations between Dream and others, or between Dream and himself, where we learn how he views himself and his responsibilities. 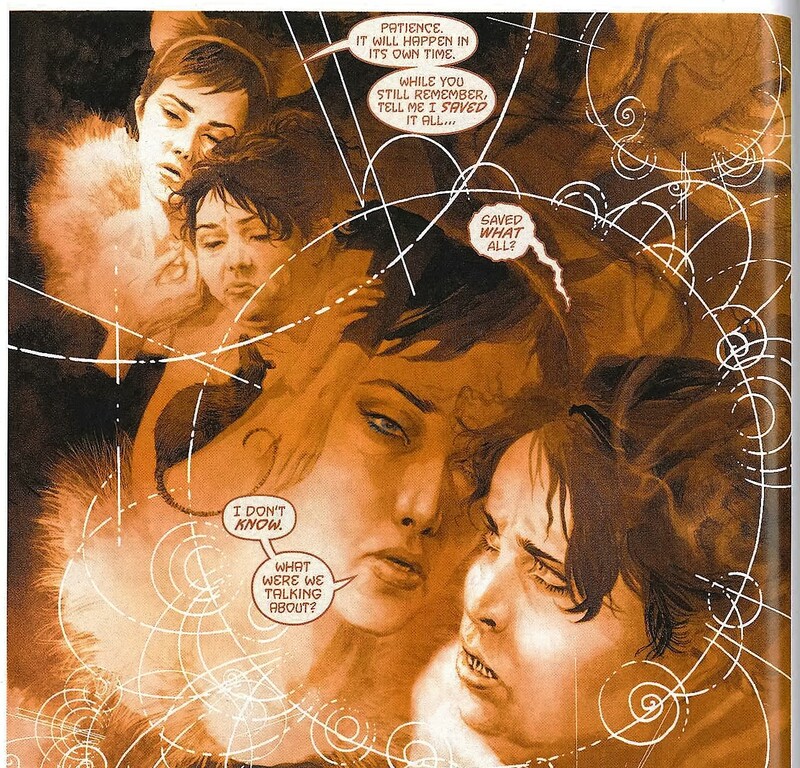 The ending, especially, sets up the antipathy between Dream and Desire in a way that will drive a lot of the conflict in The Sandman proper. 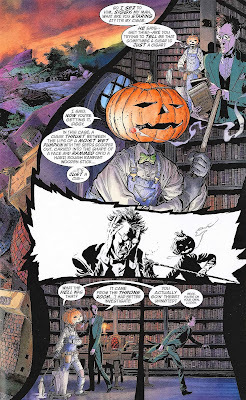 Like the best prequels, it just doesn't "explain" what we've already seen, but recontextualizes it; I look forward to rereading The Sandman with the events of this series in mind. I had to read a synopsis of the original series to fully grasp the implications of everything the ending revealed, though. It's been a while! 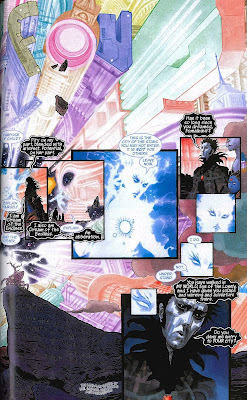 In addition, Gaiman includes some crowd-pleasing moments: the prequel status precludes an appearance from my favorite Sandman character Matthew the Raven (he's not yet born, much less a Raven, in 1915), but my second-favorite Marv puts in a brief appearance, as do Lucien, Mad Hettie, and most of the Endless. And, actually, despite the book being a prequel, we do get a brief appearance by Daniel, the second Dream, because events don't have to happen sequentially when you're the embodiment of an abstract universal concept that spans time, space, and continuity. 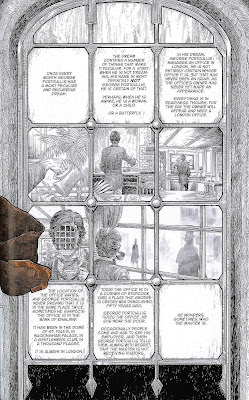 That said, the ending is not quite as good as it ought to be; in typical Gaiman fashion, it feels like a rabbit has been pulled out of a hat that no one had been seen wearing in the rest of the story. I was willing to accept the solution because of the weight of what came before it, but I wish it felt a little less arbitrary. Most of it worked (I'm trying to avoid spoilers here, because this is a semi-recent work, unlike most of what I review), but some aspects of it I wish had been set up better. There are a couple of gatefold pages (impossible to fully capture on the size of scanner I have access to), which I was prepared to dislike on principle, but this one turned out to be really effective in the way it was deployed, actually. But "weight" is good word for what this book has. Between the art, the fact that you know this book leads to a 75-issue series, and the sheer cosmic scale of events, it feels dense: you pore over ever word and every image. 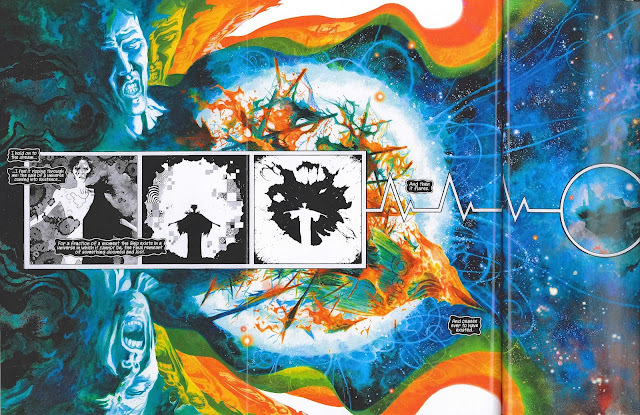 It's an immersive, rewarding, exhausting read, and immediately takes its place as a key part of the Sandman corpus. Next Week: A modern day reunion with The Dead Boy Detectives in Schoolboy Terrors!